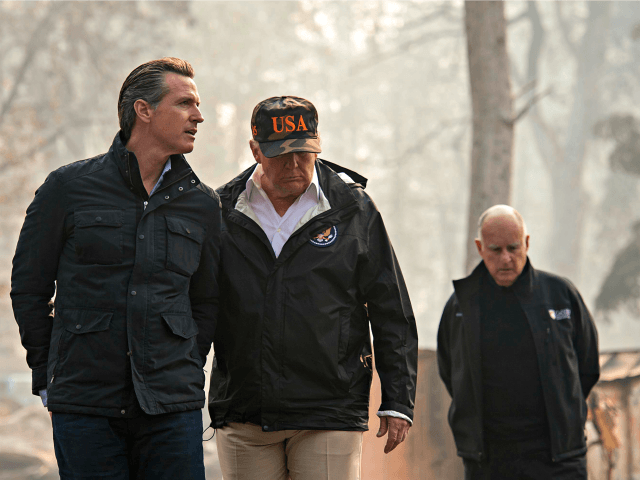 President Donald Trump teamed up with Governor Jerry Brown and Governor-elect Gavin Newsom to address the wildfires in California on Saturday. The president walked through the burned out remains of Paradise, California after 90 percent of the city was lost in the fires. The president and both Democrats spoke to the press aboard Air Force One. Trump marveled at the speed of the flames which caught a lot of residents by surprise. “Five minutes and that’s the difference between life and death,” he said. When reporters asked about climate change being a cause of the fires, Trump said that they did not discuss it. Governor Jerry Brown said that it was important to focus on the immediate needs of the state after fires. 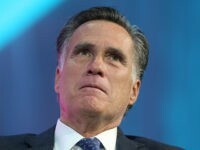 “What took place over the last nine days is devastating for our country, and for a great state,” he said. Governor-elect Newsom said that it was important to offer long-term relief for the victims of the fires. “Once the cameras are gone, the press is gone, the rest of us are gone, we need to make sure we’re there for the folks that have been impacted by these fires the next year or two, five, ten, as we rebuild the communities,” he said.